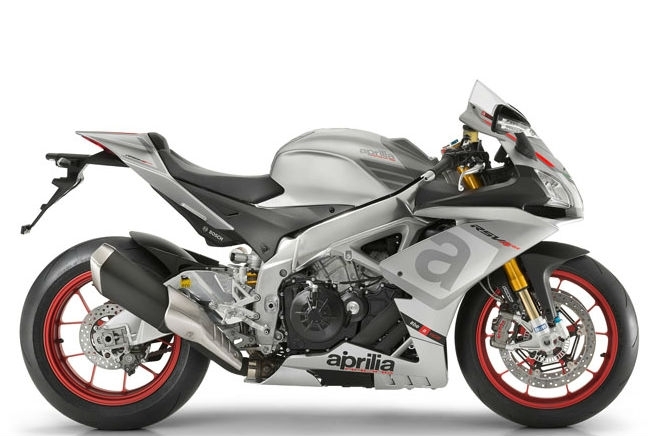 The Aprilia RSV4, like the Ninja H2, is a 200hp+ superbike that will have motorbike riders purring the world over. The World Superbike champions have tweaked their RSV4 to get an additional 16hp out of the engine. It’s also lost three pounds which gives an impressive power-to-weight ratio in its latest form than its predecessor. That all makes for 85 lb-ft of torque and some impressive acceleration from the 1000cc V4 engine. And the updates haven’t stopped at weight and engine. The Italian manufacturer has also added a new range of electronics including its Performance Ride Control (aPRC) package. That means there’s adjustable traction, wheelie and launch control as well as a quick-shift system. In combination with Bosch, Aprilia has also developed an advanced Race ABS system with three difference settings. It’s a powerful, well-equipped bike and it’s also a stunner.